Mr. Mossessian is very knowable and professional in the service provided. The gentleman was knowledgeable and respectful. He narrowed down several possibilities as to the cause of our refrigerator’s loud noises. Great employees. The system is broken!!!! Victor and person answering the phone at the service center were very polite and doing their job. There was a VERY long wait to get someone on the phone. Efficiency of service is poor. In total, three people took a picture of the dent on my brand new refrigerator. 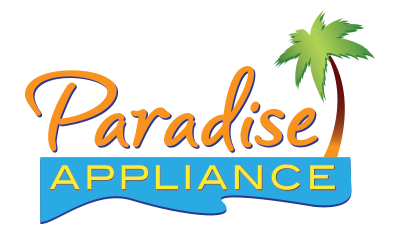 The ball was dropped between Howard’s and Paradise appliance, and I had no idea that a separate company was handling things. 1) the person who delivered the refrigerator 2) myself who sent it to the manager at Howard’s when I didn’t get a call regarding fixing it 3) Victor who took a picture of the dent and serial number I had to wait Six weeks to have the door fixed. And stayed home three days with an unknown delivery time window until the day before. I appreciate Victor pre scheduling the final delivery ahead of time or I would have been even longer. I think he did a great job helping with my broken dishwasher dish rack. Thanks! Some companies apply the service call price to the cost of the part and the labor. I thought it was a bit expensive to replace a part which cost less than $25. WASHER MAYTAG MGD6630HW0 "replaced broken door latch, ran thru recalibration working ok.; used 1 W10810403 (LATCH) from stock"
DISHWASHER KITCHENAID KDTE254ESS2 "found unit not responding to push botton cycles, needs main & ui boards replaced. ; ordrng 1 W10902370 (ui board) and 1 W10866124 (cntrl-elec)"
WASHER WHIRLPOOL WTW4816FW2 "made adjustment to pressure hose to main cntrl causing large fill on every cycle, ran test recalibrated working ok. this is different issue from first visit." WASHER WHIRLPOOL WTW4816FW00 "replaced broken tub, ran thu diagnostics working ok. auth#WJQZ00AL2"
DRYER MAYTAG MGD6630HW0 "found unit making vibration noises when running, coming from motor, needs motor & blower assy replaced; ordrng 1 W11086656 (motor drive) and 1 WP697772 (blower wheel) and 4 WPW10314173 (drum rollers)s"
WASHER WHIRLPOOL WTW4816FW2 "replaced bad water inlet causing long fill error, ran test recalibrated working ok.; used 1 W11210459 (VALVE) from stock"
WASHER WHIRLPOOL MVWC565FW1 "replaced bad actuator shifter was stuck in agitator intermitenly, ran tesworking ok.; used 1 W10913953 (SHIFTER) from stock"
DRYER WHIRLPOOL MGD5500AWW "replaced bad gas coils for not drying issue, ran test working ok.; used 1 279834 (COIL-VALVE) from stock"
REFRIGERATOR KITCHENAID KBSD602ESS00 there was a paper at drain hole by evap. drain removed put some water it drain. DISHWASHER WHIRLPOOL WDT730PAHZ0 "installed motor & pump, water is now draining out of dishwasher"
REFRIGERATOR WHIRLPOOL WRS555SIHZ00 checked hoses at water valve and in dispenser housing area. no signs of water leak. DISHWASHER WHIRLPOOL WDTA50SAHZ replaced front panel and tested for correct door opening/closing. DISHWASHER WHIRLPOOL WDT710PAHW1 removed console and reseated wire harness. unit checks ok.